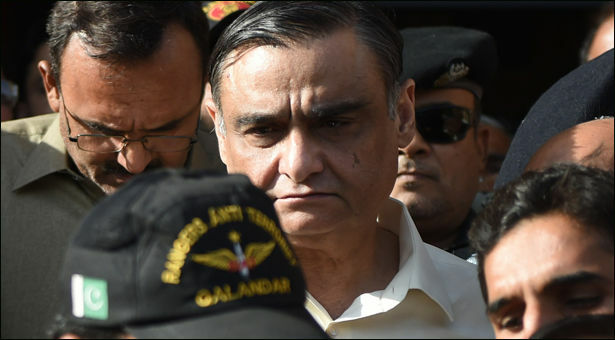 The Supreme Court (SC) on Tuesday directed the authorities concerned to remove Dr Asim Hussain’s name from the Exit Control List (ECL) so that he can travel abroad for a month to get medical treatment. A three-member bench of the apex court, headed by Justice Dost Muhammad Khan, heard the petition and observed that everybody had the right to ‘better medical treatment’. In his petition, Dr Asim Hussain, who is a former federal minister and a close aide of Pakistan People’s Party (PPP) Co-chairman Asif Zardari, stated that he was fighting “a number of health problems” and highlighted the ‘urgency’ with which he needed medical care. The petition had also pointed out that the PPP leader had already been granted bail by the Sindh High Court (SHC) and anti-terrorism courts. While hearing the petition, the bench also wondered as to why those facing corruption charges tend to fall sick. Justice Dost Muhammad also remarked that the court does not have any record of the petitioner’s [Dr Asim’s] illnesses from the past. In an obvious reference to former president General Pervez Musharraf, Justice Dost Muhammad Khan said that some people had been removed from ECL because they had to travel abroad just to get their ‘backache’ treated. The court after hearing arguments of the counsel of petitioner Barrister Latif Khosa, and law officers of the federal government, reserved its judgment that everybody had the right to get better treatment. Earlier during the proceedings, Justice Qazi Faez Isa had enquired as to why Dr Asim was arrested by Rangers, to which his counsel replied that he was arrested on charges of providing treatment facilities to alleged terrorists at his hospital at the behest of MQM. In March, the SHC had granted bail to Asim in two corruption references filed by the National Accountability Bureau (NAB) and on the same day, an anti-terrorism court issued a release order for the former federal minister in a case relating to the alleged treatment of terrorists at Ziauddin Hospital, where he served as the deputy managing director. Besides the allegation of providing medical treatment to terrorists, NAB had also been pursuing Dr Hussain on charges that the former petroleum minister deprived the state exchequer of Rs 462.5 billion between 2010 and 2013 — Rs 450 billion through a fertilizer scam, Rs 9.5 billion through land fraud, and Rs 3 billion through money laundering.